This monumental church is the only vestige preserved at the present time of the old convent of Sancti Spiritus of the Third Franciscan Order, which was established here in the 14th century, authorized by Francisco de Castro Canseco. The church was initially rebuilt in the 15th Century using stone from the destroyed walls of the town. Then during the 18th century the church was extended and it is from this period that the main façade on the side of the church in the square was added. 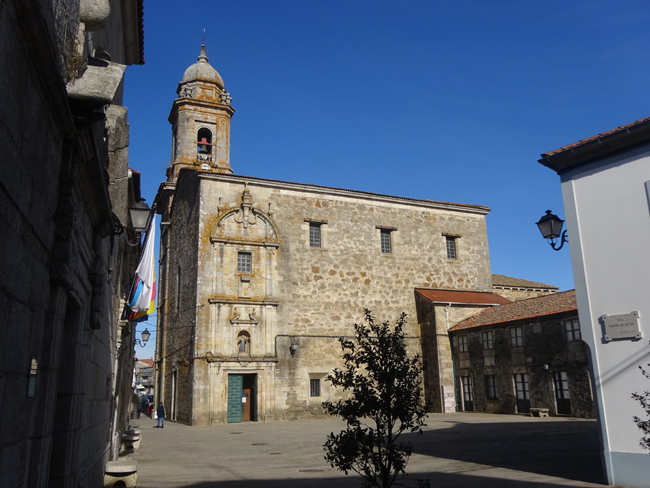 The tower of the church was also added at this time and is similar in style to the towers the church at the Convent of San Francisco in Santiago de Compostela. The interior of the church has wonderful examples of baroque and neoclassical style sculptural pieces.